Fashion, general term for popular practice, are the hot topic nowadays. People are searching for fashionable sense towards their life. Fashion can be in many sectors, says clothing, accessories, footwear, make up and tattoos. Well, fashion can be a broad knowledge and high investment for practising to be one of the fashionable person. My opinion, to be metro sexual, will not care about branded things, but you have to know how to apply fashion into suitable places/occasions. 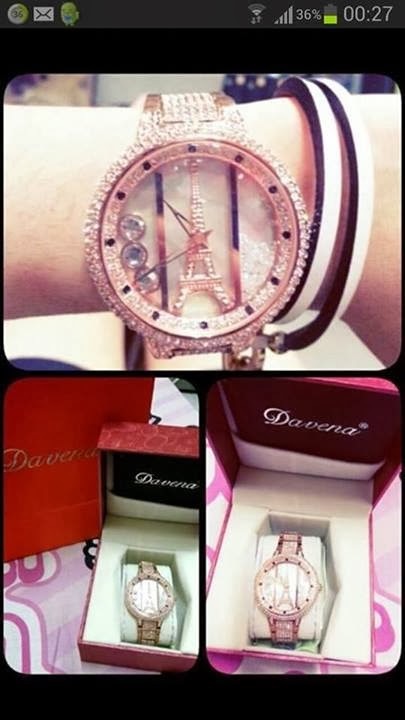 For this post, I'm going to share about some fashionable watches which I spotted on my friend's Facebook. Yeah. She's the dealer. Eiffel Tower is an iron lattice tower located in Paris, one of the top 10 attractions in the World Tourist Attraction. There are many of us which including me are wish to visit Eiffel tower. Well, back to topic, There are many fashionable designs used to take Eiffel tower as their essence of design. 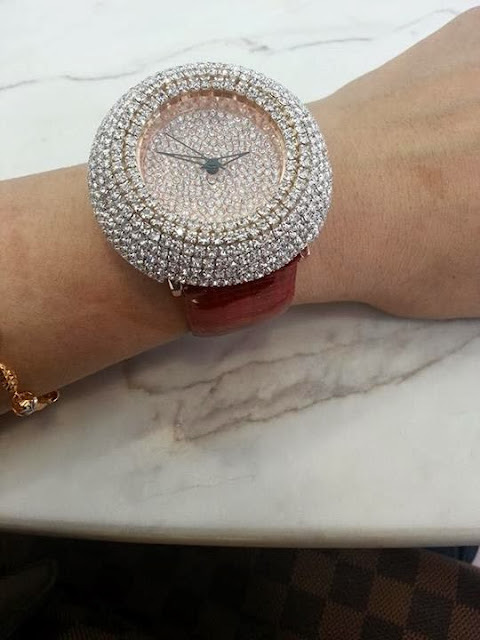 The surrounded diamonds used to be in this watch are created a most highlight point for this watch to be quite flashing and attentive to others. 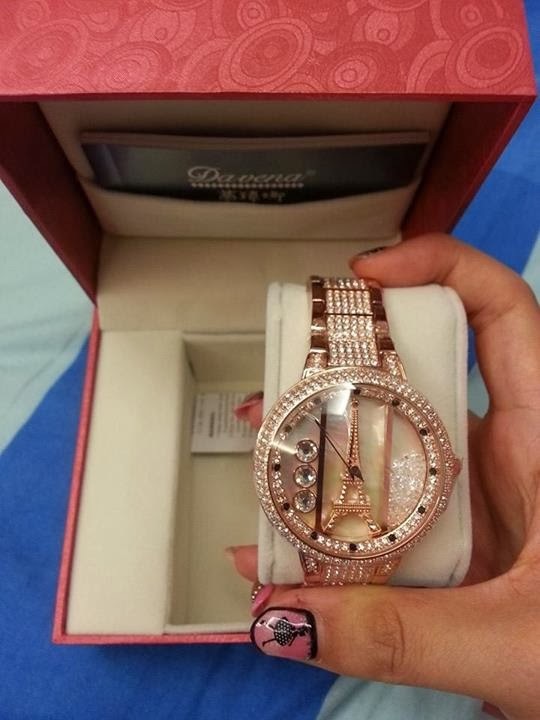 Personally, I love this watch BUT it seem not suitable for me because I am not femme mah. The shining flashes from diamonds always alert to anyone surrounded. I believe that's one of the fashion essence which may extra flashing the normal person into fashionable person. Yes, I do agree that diamonds style is not 100% fashionable but it may one of the reason to make a person to be more outstanding. Therefore, my second recommendation is - Classic Diamonds watches. 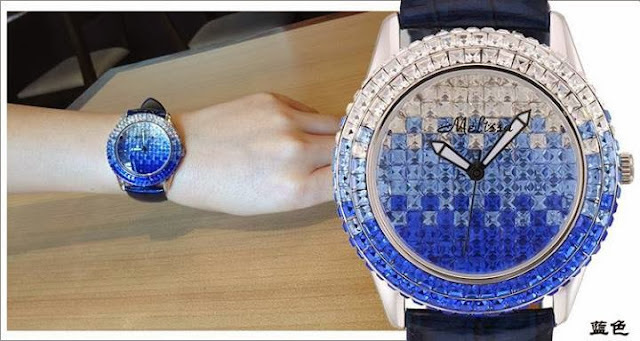 This watches available into 2 colours which is Pink and Blue. Well, this watch is designed for femme but if your boy is FASHIONABLE person, I bet he will don't mind to wear it as one pink, one blue can be a couple watches !! SO, ARE YOU THE FASHIONABLE ONE ? That is my sharing toward fashion watches nowadays. I would like to declare that all the photos are taken from my friend's facebook account which you may grab it by searching Adeline Tan Swee Ling in Facebook. Special thanks to Miss Adeline Tan, for allowing me to share her products on WebbyLatte.com.